The 2018 Ford Edge and Ford Escape are among the most popular crossovers on the road, albeit for slightly different reasons. The midsize Edge provides a little extra passenger space for growing kids, as well as a little extra power for passing and merging. The Escape caters to the urban crowd with its parking-friendly dimensions and balance of power and fuel economy. Read our comparison guide to learn more about how these crossovers differ - as well as what they have in common. If you need all the passenger space you can get, check out the 2018 Ford Edge. 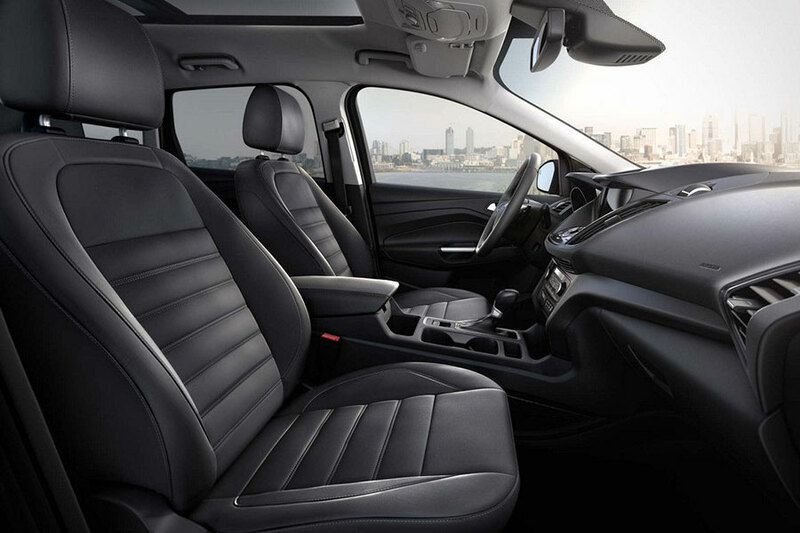 Its status as a mid-size crossover means that there's generous head and leg room in both rows. If you've got tall genes in your family, the Edge provides necessary growing space, so your family can keep on trucking comfortably for years to come. The Edge is also known for its cargo space, with 39.2 cubic feet behind the rear seats for your sports gear and overnight bags. Fold the seats down for 73.4 cubic feet of maximum cargo space - more than enough room for the occasional trip to IKEA. The 2018 Ford Escape is a compact crossover, but it's also designed to keep up to five passengers comfortable for the long haul. Its exterior size is perfect for parallel parking, but, inside, you'll never lack for space. The Escape's cabin features two rows of roomy, supportive seating, and so much elbow room that no one will mind spending hours on the road. Its roomy cabin and fuel-efficient ride make this crossover perfect for road trips. The Escape also supplies its fair share of utility. Flip down the rear seats for up to 68 cubic feet of cargo space for unwieldy sports gear or moving boxes. Both the 2018 Ford Edge and the Escape offer high-end luxury options. If you so desire, you can add everything from handsome leather upholstery to heated front seats to your ride. As you cruise the highway, these quiet cabins provide luxury-car-style treatment without the high price tag. The 2018 Ford Edge offers the sportier ride, with three powerful engine options to help you tailor your on-road experience. The SE, SEL, and Titanium models come standard with a 2.0-liter four-cylinder engine. It's the most fuel-efficient of the bunch, providing 21 city/29 highway mpg to keep you well within your fuel budget. It also kicks out 245 horsepower and 275 pound-feet of torque, which means it's no slouch on the highway. From there, the Edge's engine lineup only gets more powerful. SEL and Titanium drivers can choose the optional 3.5-liter V6, which delivers increased athleticism with 280 horsepower. All of the above engines are paired with a six-speed automatic transmission and standard front-wheel drive. However, all-wheel drive is always an option to increase traction during icy winters. The Edge Sport features an exclusive turbocharged 2.0-liter V6 that turns up the heat with 315 horses and 350 pound-feet of torque. This model comes standard with all-wheel drive, and it's the right choice for drivers who crave impressive speed. The 2018 Ford Escape caters to the fuel-conscious with its sporty-yet-economic engine lineup. The base model comes with a 2.5-liter four-cylinder engine with proficient power - 168 horses and 170 pound-feet of torque - to get you up to speed. It's not the most fuel-efficient of the bunch, but this engine doesn't cost extra. For the Escape's most efficient performance, upgrade to the SE or SEL trims. These utilize a turbocharged 1.5-liter four-cylinder that both increases power and fuel economy, generating 179 horses and earning 23 city/30 highway mpg. On the top-trim Titanium, you'll find a turbocharged 2.0-liter four-cylinder that turns out the line's speediest performance with 245 horses and 275 pound-feet of torque. All-wheel drive is optional for all Escape models and makes an excellent safety addition for anyone who deals with icy or wet pavement on a regular basis. Properly equipped, both the 2018 Ford Edge and the Ford Escape tow max loads of 2,000 pounds. Either crossover is capable of towing your medium-sized boat or a pair of Jet Skis to your favorite loading dock. Both the 2018 Ford Edge and the Ford Escape aim to keep you protected. In government crash tests, both crossovers earned a perfect five-star rating for overall protection. If you spend a lot of time on busy highways, you can add vigilance-enhancing technology like blind-spot monitoring to help you stay safe. The Edge's forward collision warning system includes mitigation technology, pressurizing the brakes to provide maximum stopping power in a pinch. The Escape's forward collision warning system takes things a step further with automatic emergency braking. 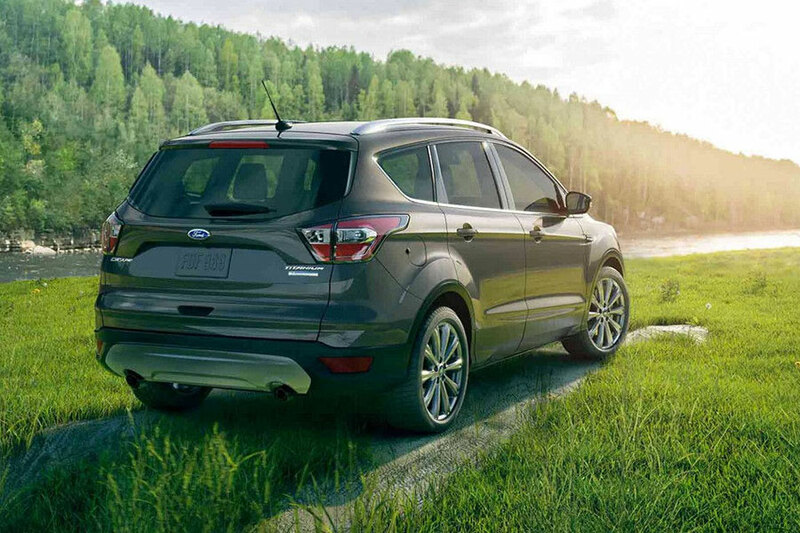 When the Escape senses an oncoming collision, it hits the brakes to help you avoid damages. Here, the 2018 Ford Edge and the Escape also have a lot in common. Both offer the street-savvy Sync 3 infotainment system, supplying users with a responsive central touchscreen and intuitive on-screen menus. Ford's Sync voice controls make the system even easier to use - just press a button on the steering wheel and ask it to switch music playlists or call home. Sync 3 also includes Apple CarPlay and Android Auto capabilities, displaying apps like Music, Phone, and Messages on the touchscreen, so you don't have to look down at your phone or away from traffic. You can even use your phone's Maps app instead of paying extra for Ford's navigation technology. 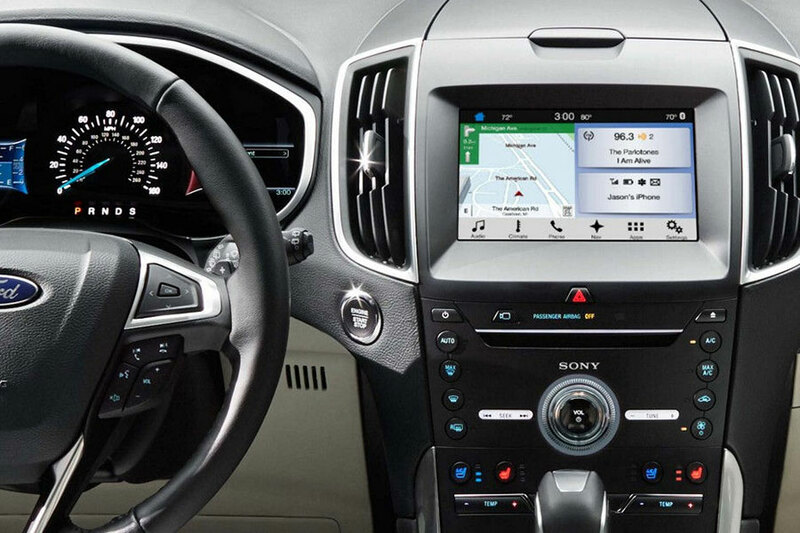 In the Ford Edge, Sync 3 is optional for the mid-grade SEL and standard equipment on the Titanium and Sport models. On the Escape, this technology is optional on the mid-grade SE and standard on the SEL and up. As you can see, both the 2018 Ford Edge and the Ford Escape impress with their modern tech lineups and safety scores. If you're looking for a family-friendly version of sports utility, the Edge provides increased passenger space and a more athletic ride. However, if you prefer to save money on fuel as you commute to work, the Escape is the better option. Test-drive both models before you make a final decision!